A newly-formed community choir will take its first steps in public performance at the Hester’s Way Christmas lights switch-on ceremony on 14th December in Coronation Square, Cheltenham West. But in just seven months’ time the same group will perform in the finale of the 75th Cheltenham Music Festival on Sunday 14 July 2019 in Cheltenham Town Hall. 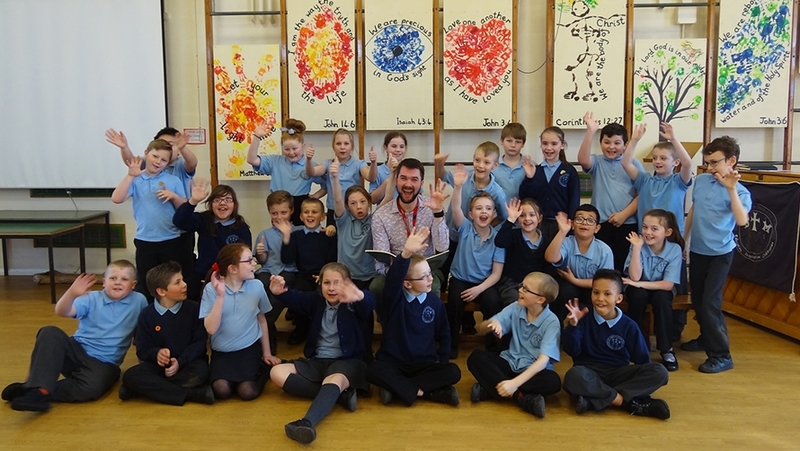 They will form part of the Opera Chorus for Cheltenham Music Festival’s Community Opera performing alongside school choirs, professional singers and instrumentalists, and young players from the Gloucestershire Academy of Music’s Inspire Ensemble. The Community Opera has been awarded funding from the Big Lottery and the Foyle Foundation to tell the stories of people who live and work in Cheltenham West (known informally as Hester’s Way). It is the culmination of a cross-arts, intergenerational project over four years which has been planned in consultation with groups and individuals who live and work there. It will build on the work of two previous projects in the community – a song-writing piece (Going for a Song, performed at the 2015 Cheltenham Music Festival) and a storytelling piece (A Way With Words, performed in Hester’s Way as part of Cheltenham Literature Festival in 2016). This long-term project is part of Cheltenham Festivals’ commitment to making the Festivals more accessible to people whose opportunities to engage with local arts and cultural activities are limited. Work has already begun on creating the libretto for the opera (working title A Likely Story). Author and scriptwriter Miranda Walker will devise the title and story in collaboration with the community itself. She is holding weekly writing workshops with children from two primary schools, St Thomas More Primary and Hester’s Way Primary, and one secondary school, All Saints Academy and will also incorporate ideas from the community choir. Librettist – Miranda Walker is an author, scriptwriter and lecturer. She has written for both local and London Theatres, for flagship comedy shows The Now Show and The News Quiz on Radio 4, as well as story and educational books – including the much-loved Wishing Fish Clock Book about the famous clock in Regent’s Arcade. Composer – Michael Betteridge has worked on previous Festivals projects in Cheltenham West, bringing his huge experience collaborating and composing with community groups across the UK and abroad. Michael specialises in songwriting and opera, and has developed projects with BBC Philharmonic, London Symphony Orchestra, Opera North, and many more. Director – Bryn Holding is an actor, writer, and director, including being an Associate Director of Hammerpuzzle Theatre Company. He has recently worked with the Everyman Theatre directing The Irving Studio Christmas show, as well as writing and directing On The Mend, commissioned to commemorate the centenary of the WW1 armistice. Conductor – Glyn Oxley is musical director of the Gloucestershire Academy of Music and works with talented young musicians in the county. He has established a new Gloucestershire Youth Chamber Orchestra called Inspire for Grade 8 plus young musicians, which runs in conjunction with Cheltenham Music Festival. Soloist and Singing Leader – Gina Baker studied singing at the Royal Birmingham Conservatoire and now works in the Learning and Participation Department of the Birmingham Contemporary Music Group. She is passionate about outreach through music, running choirs in prisons and volunteering for the Choir With No Name for people affected by homelessness. The Community Opera is coordinated by Cheltenham Festivals staff Philippa Claridge and Shirley Halse. Two wards in Cheltenham West are in the 10% most deprived in England. Local councillors and community leaders have spoken of low aspirations and limited opportunities, particularly amongst young people. This can come as a surprise to those living outside the town and even some within it, who associate Cheltenham with top independent and grammar schools, horse-racing, GCHQ and world-class Festivals. The area is geographically cut off from the rest of the town and few residents have their own transport. The Community Opera will bring this hidden-away community into the spotlight in Cheltenham’s most iconic building, the Town Hall.